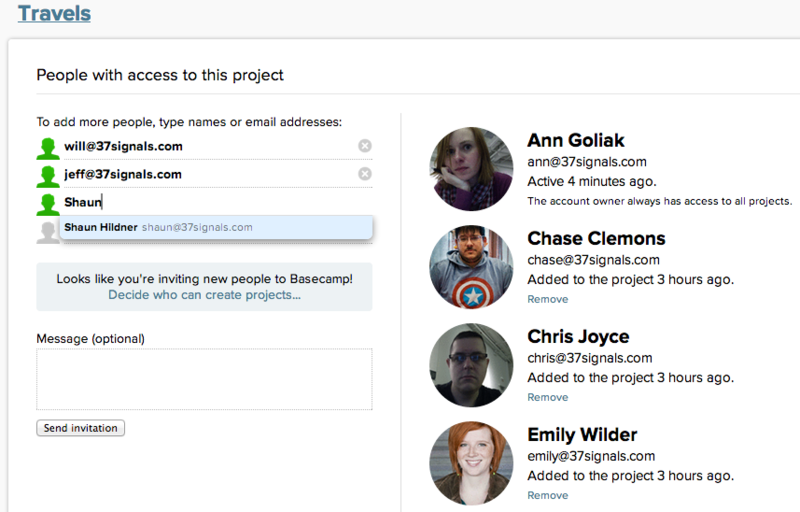 Basecamp makes it a snap to add people to a project! Then head to "Invite more people." Are you working with clients? Enable the client project setting. Type a name or email address. Basecamp will suggest names if they're already members of your account. Otherwise, you can use someone's email address to invite them to Basecamp. They'll be automatically added to that project. Use Companies and Groups to invite multiple people at once. You can also set superpowers when you add new people to your account. 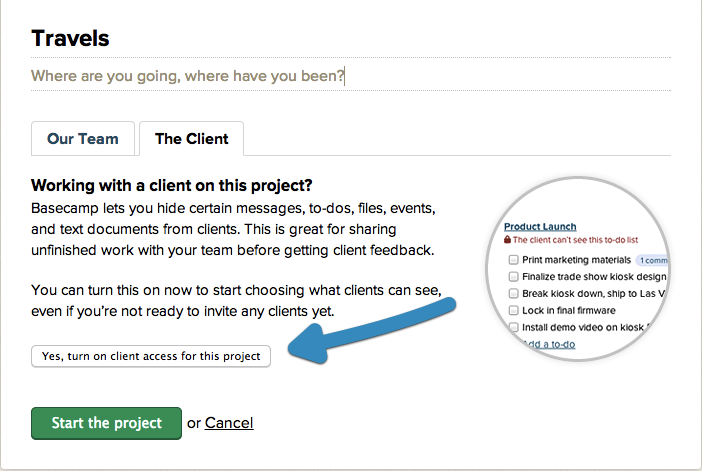 Click "Decide who can create projects ... "
Any project member is able to add new folks to that project. You can only add people to the projects you're a member of. 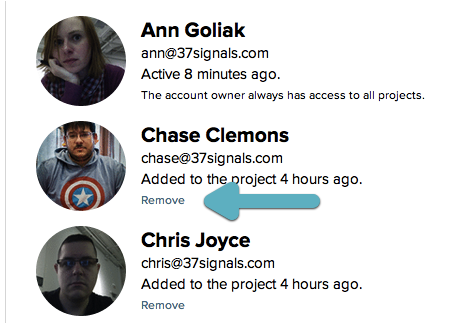 Revoke project access on this page by clicking the "Remove" link under a person's name. The person will still be a member of your account, but they won't be able to view this project anymore. All comments, files, and anything else contributed by that person will be preserved in the project. 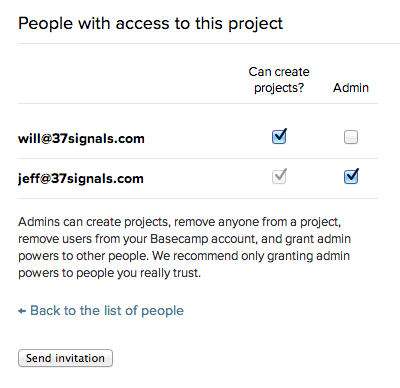 Only admins and the account owner can revoke project access. The account owner can't be removed from projects.